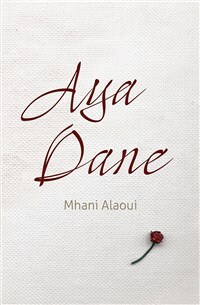 An evocative novel from the award-winning author of Dreams of Maryam Tair. Aya Dane creates mixed media paintings and writes a diary in her studio above a strange, old Cambridge townhouse. There she lives alone, having left her childhood home in Tangiers. Though she has carved a name for herself in the art world, she allows herself just one close relationship, to an intimate companion named David. One day, Aya receives a letter from a powerful, enigmatic patron, an invitation to submit her ultimate work to his collection. If he deems it worthy, he promises, her art will live on forever. Aya finds herself unable to resist the mysterious invitation, and challenge. But as she begins to work on the commissioned painting, from her top-floor perch, the streets of Tangiers reappear to her. Their white-and-blue walls, purple bougainvillea, sweetness and sorrow bring back to life people and events she thought she’d left behind. Aya becomes haunted by forgotten scenes, only to discover that she herself is being painted, on a canvas from which it seems impossible to escape. Aya Dane creates mixed media paintings and writes a diary in her studio above a strange, old Cambridge townhouse. There she lives alone, having left her childhood home in Tangiers. Though she has carved a name for herself in the art world, she allows herself just one close relationship, to an intimate companion named David. One day, Aya receives a letter from a powerful, enigmatic patron, an invitation to submit her ultimate work to his collection. If he deems it worthy, he promises, her art will live on forever. Aya finds herself unable to resist the mysterious invitation, and challenge. But as she begins to work on the commissioned painting, from her top-floor perch, the streets of Tangiers reappear to her. Their white-and-blue walls, purple bougainvillea, sweetness and sorrow bring back to life people and events she thought she’d left behind. Aya becomes haunted by forgotten scenes, only to discover that she herself is being painted, on a canvas from which it seems impossible to escape. Mhani Alaoui is a writer based in Casablanca, where she lives with her husband and sons. She teaches anthropology at the Casablanca School of Architecture. She lived in the US for twelve years, earning a PhD in anthropology from Princeton University, before returning to Morocco. Her first novel, Dreams of Maryam Tair, is a critically acclaimed work of magical realism based on the tale of Scheherazade.